In 889, Alhambra was originally built as a small fortress. Then the fortress was abandoned. by the Moorish emir Mohammed ben Al-Ahmar who came from Emirate of Granada rebuilt and renovated the fortress by making walls and palace in the mid 11th century. Get facts about Agra Fort here. The Sultan of Granada converted the fortress into a royal palace in 1333. 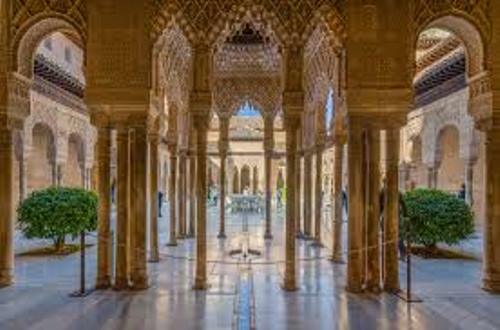 He was Yusuf I.
Alhambra was used as an Islamic palace. When it was captured by Reyes Católicos, some parts of the palaces were used by Christian leaders in 1492. Charles V was the Holy Roman Emperor in 1527. 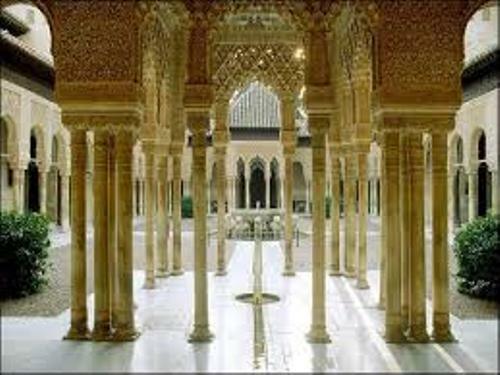 He inserted the Palace of Charles V into this Islamic Palace. 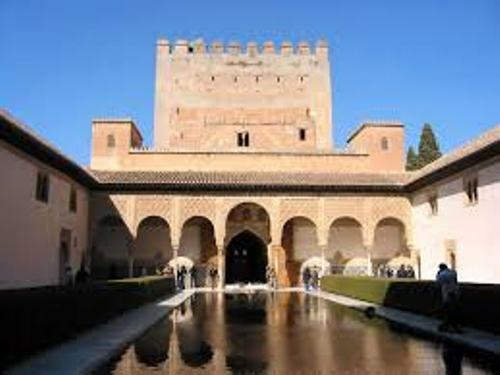 Today Alhambra is one of the main tourist attractions. 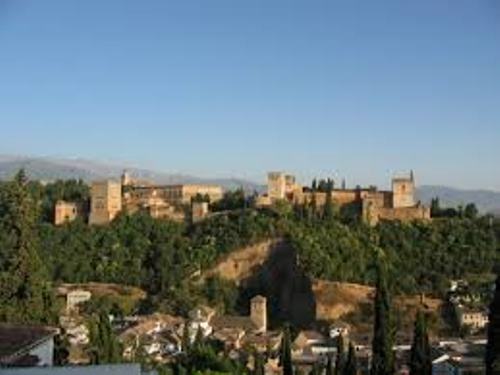 People will love to go to Alhambra to enjoy the magnificent Islamic architecture. You can also perceive the garden and Christian building infused in the palace. Do you know that many songs and stories were created based on the inspiration of Alhambra? 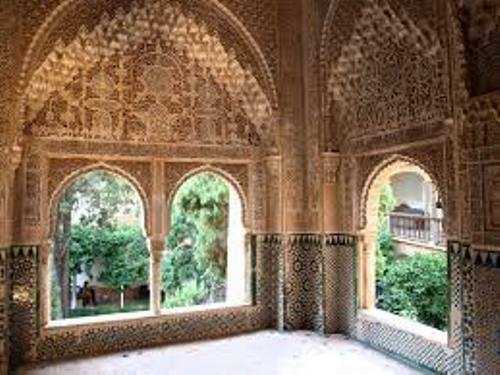 Due to the color of the building, many poets call Alhambra as a pear set in emeralds. Alameda de la Alhambra is the park in the palace complex. During the spring season, you can see a lot of grasses and wildflowers. The Moors planted the area with myrtles, roses and oranges. Duke of Wellington contributed a lot of the part of Alhambra. He brought the dense wood of English elms in the park in 1812. You can perceive nightingales when you are in the park. It has a perfect sound of the running water from the cascades and fountains. Find out another famous building in Alamo facts. If you checkout the building in Alhambra, most of them are in quadrangular in plan. The exterior is plain and simple. But you can enjoy a lot of sunlight here. Do you have any comment on facts about Alhambra?